Who would have thought that the new white rosary beads would be so popular! We have been thrilled with your kind words and overwhelming response to our new products. Thank you so much. The new white rosary beads are a huge hit with our customers and we’re thrilled that you’re enjoying our newest designs. We are listening to all your comments and will add some new designs very soon, we have found some wonderful ‘star shaped’ beads for Holy Communion and pearl bead designs for wedding days! 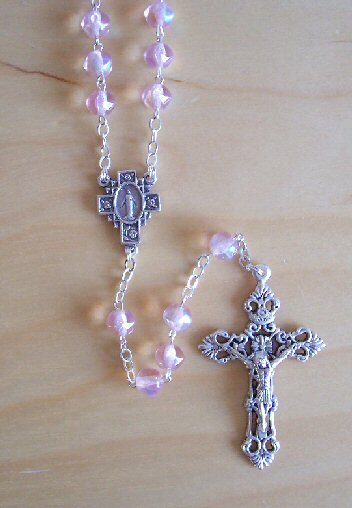 Our bestsellers are currently the ‘forever hearts’ delicate rosary and the pale pink ‘divine’ glass rosary. We are hoping to offer these designs in a variety of colours in the future. It’s one of our favourites, and such a heavy rosary that it’s perfect for praying on continuously! 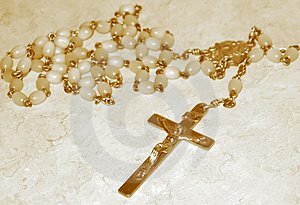 We are hoping to offer some handmade rosary beads in the next few months, by a local artisan. They are made from sterling silver, antique brass and pewter. If they’re popular with the customers, more choices will be made available and other designs too! It’s all very exciting! We’ll keep you informed of our progress and let you know when they’re available to buy online. Beautiful aren’t they? We hope you enjoy them as much as we do, until next time…..wishing you a truly blessed day filled with the Lord’s healing love and light. New White Rosaries – soon to be added! 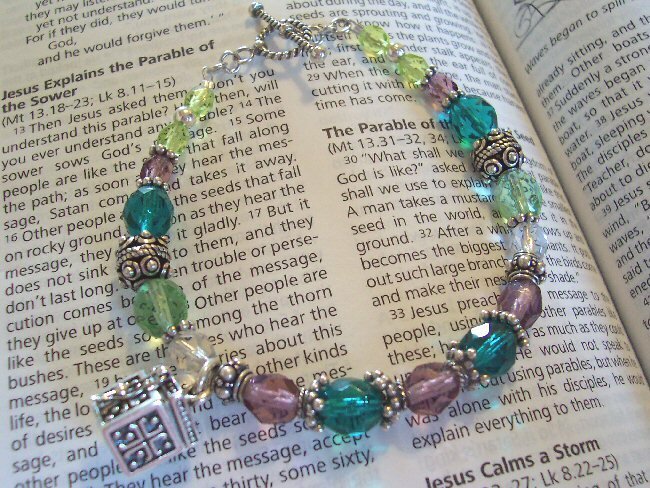 We have some beautiful new rosaries that will be added to our web site…very soon! Many of our customers wanted some delicate white, or crystal clear rosary beads to have on their wedding day or Holy Communion. As most of our rosary bead colours vary from brown, black, pink and green….we noticed that the only white rosary beads we had available were the Mother of Pearl. So, we had to remedy that straight away! We’ve listened to all your wonderful comments and requests, and hopefully found some beautiful new rosaries which will compliment your special occasions and memorable wedding days. The new white and crystal rosary beads will be available in double wired (for extra strength) or patterned beads (for a unique rosary) and presented in deluxe cases. We have been delighted with the new rosaries and hope you’ll enjoy them too. The photograph’s are being customized as we speak, so the new arrivals will be available to buy online very soon! Keep checking back often so you don’t miss out!